Thanks to the FBI and the United States Attorney for the Middle District of Florida, Judge Timothy Corrigan and a federal court jury of twelve. Thanks to all of y'all for enforcing federal criminal laws without fear or favor. 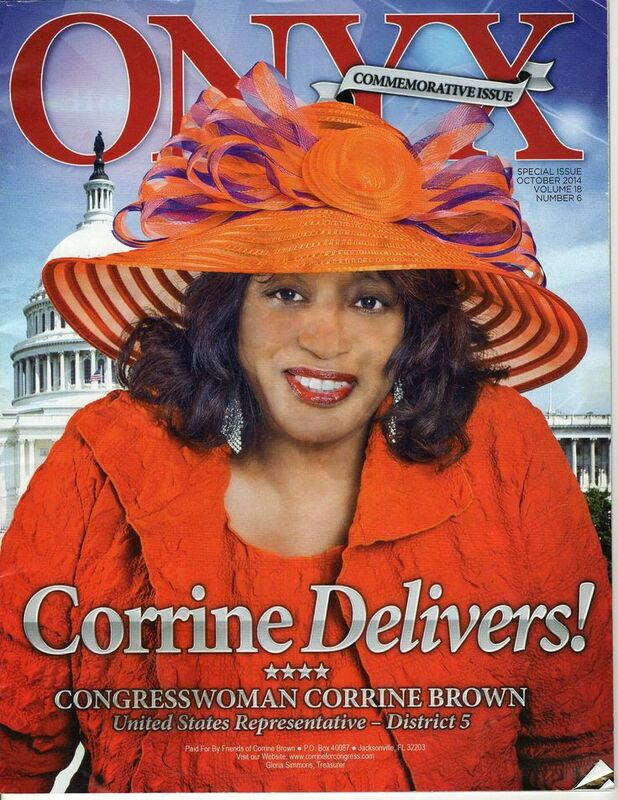 Congresswoman CORINNE BROWN's advertising billboards, signs and t-shirts all said, she "delivers." BROWN's conviction for defrauding a non-profit group provides the template for prosecution of Sheriffs who abuse non-profit groups to feather their own nests. 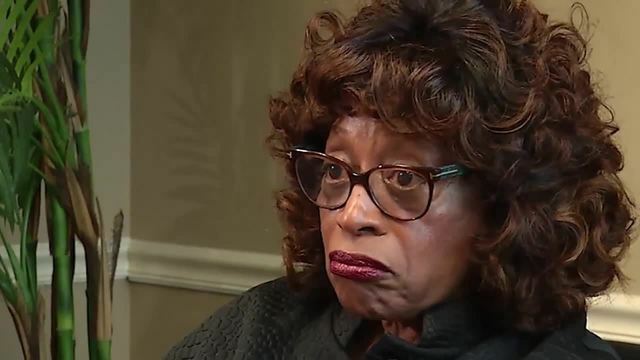 Like Sheriff DAVID SHOAR's "St. Johns County Sheriff's Department Four Star Association, Inc."
Jacksonville, FL – Former U.S. Congresswoman Corrine Brown was convicted by a federal jury in Jacksonville, Florida, today for her role in a conspiracy and fraud scheme involving a fraudulent scholarship charity. Acting U.S. Attorney W. Stephen Muldrow, Acting Assistant Attorney General Kenneth A. Blanco of the Justice Department’s Criminal Division, Special Agent in Charge Charles P. Spencer of the FBI’s Jacksonville, Florida, Division and Chief Richard Weber of the of Internal Revenue Service-Criminal Investigation (IRS-CI) made the announcement. Brown, 70, of Jacksonville, was convicted on 18 counts of an indictment charging her with participating in a conspiracy involving a fraudulent education charity, concealing material facts on required financial disclosure forms, obstructing the due administration of the internal revenue laws and filing false tax returns. The jury also found Brown guilty of violating the Ethics in Government Act by concealing certain income on the required annual financial disclosure forms she submitted to the U.S. House of Representatives. Judge Timothy J. Corrigan of the Middle District of Florida noted that he would schedule Brown’s sentencing for a later date. Brown’s co-conspirators, Elias “Ronnie” Simmons, Brown’s long-time Chief of Staff, and Carla Wiley, the president of the fraudulent charity, previously pleaded guilty to their roles in the education charity scheme on Feb. 8, 2017, and March 3, 2016, respectively. Evidence at trial showed that between late 2012 and early 2016, Brown participated in a conspiracy and fraud scheme involving One Door for Education – Amy Anderson Scholarship Fund (One Door) in which the Brown, Simmons, Wiley and others acting on their behalf solicited more than $800,000 in charitable donations based on false representations that the donations would be used for college scholarships and school computer drives, among other charitable causes. Testimony by One Door donors showed that Brown and her coconspirators solicited donations from individuals and corporate entities that Brown knew by virtue of her position in the U.S. House of Representatives. Many of the donors were led to believe that One Door was a properly registered 501(c)(3) non-profit organization, when, in fact, it was not. Contrary to Brown’s representations, Brown, Simmons, Wiley and others used the vast majority of One Door donations for their personal and professional benefit, including tens of thousands of dollars in cash deposits that Simmons made to Brown’s personal bank accounts, according to trial evidence. In one instance, Simmons deposited $2,100 of One Door funds into Brown’s personal bank account the same day that Brown paid $2,057 to the IRS for taxes she owed. Likewise, trial evidence showed Brown and Simmons used the outside consulting company of one of Brown’s employees to funnel One Door funds to Brown and others for their personal use. Trial evidence also showed that more than $300,000 in One Door funds were used to pay for events hosted by Brown or held in her honor, including a golf tournament in Ponte Vedra Beach, Florida; lavish receptions during an annual conference in Washington, D.C.; the use of a luxury box during a concert in Washington, D.C.; and the use of a luxury box during an NFL game in the Washington, D.C., area. According to trial evidence, despite raising over $800,000 in donations, One Door granted only two scholarships totaling $1,200 that were awarded to students to cover expenses related to attending a college or university. Additionally, trial evidence demonstrated that Brown failed to disclose, among other things, the reportable income she received from One Door and claimed deductions on her tax returns based on false statements that she made certain donations to One Door, as well as to local churches and non-profit organizations in the Jacksonville area. The FBI and IRS-CI investigated the case. Assistant U.S. Attorneys A. Tysen Duva and Michael J. Coolican of the Middle District of Florida and Deputy Chief Eric G. Olshan of the Criminal Division’s Public Integrity Section prosecuted the case.